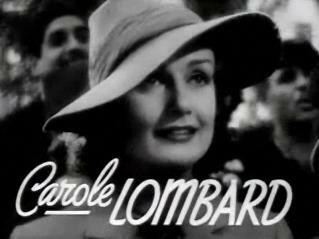 Carole Lombard died, this week in the war on 16 January 1942. She had been helping the US war effort by promoting the sale of war bonds in Indiana, where she boarded a regular scheduled flight home to California. The well-loved movie actress was killed following a refueling stop in Las Vegas, when her plane crashed in the mountains of Nevada. She was thirty-three years old. Carole Lombard acted in silent movies as a child and later starred in comedies alongside many famous actors of the day, including Jack Benny, Gary Cooper, Bing Crosby, Fred MacMurray, and Clark Gable. Her movie with Jack Benny, To Be or Not To Be, was a comedy that satirized the Nazi occupation of Poland. She married Clark Gable in 1939. He was heartbroken by her death and, soon after, enlisted in the United States Army Air Forces (USAAF). This entry was posted in Vignette and tagged Carole Lombard, Clark Gable, USAAF. Bookmark the permalink.